Posted on March 24, 2018 - By Fucosoft | Follow YouTube, Twitter to Get More Information. Find My iPhone is an app and service provided by Apple that allows your keep track of all your iOS devices and Mac computers. It is a great feature to have if your iPhone is lost, stolen or misplaced. If you want to upgrade, restore from an iTunes backup, sent iPhone to Apple repair, or even sell the device, however you’ll need to disable Find My iPhone. Not sure how? In this article, we’ll show your how to turn off Find My iPhone on an iPhone XS, iPhone XS Max, iPhone XR, iPhone X, iPhone 8/8 Plus, 7/7 Plus, 6s/6s Plus, iPad Pro, iPad Air, iPad mini etc running on iOS 12/11. If you still have access to your iPhone or iPad, you can remove your device from Find My iPhone by turning it off directly on the device. Open “Settings” on your iPhone/iPad, tap on your name and click “iCloud”. Scroll down and you will see “Find My iPhone”, then just toggle it off. Enter your Apple ID password in the pop-up window and then tap “Turn Off”. That’s all you need to do to deactivate Find My iPhone. Your iPhone or iPad will no longer be found via Find My iPhone. You can follow the save steps to turn it back on. Power off your iDevice to ensure it is not online or connected to the Internet. Go to iCloud.com and log in with your Apple ID and password. Click on “Find iPhone” then “All Devices”, choose the device you wish to turn off. 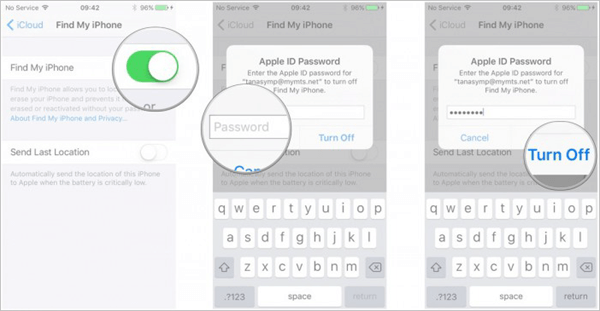 Click the Delete (X) button to remove the device from Find My iPhone. 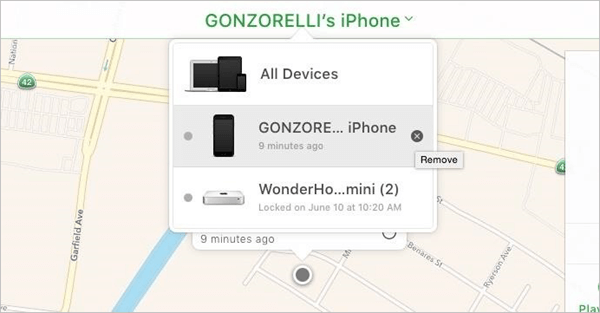 If you no longer have the iPhone or iPad because your device is stolen or you sold it, you’d better erase your content and settings (Find iPhone > All Devices > choose your device > Erase iPhone) before removing it from Find My iPhone. Go to your iCloud account and open Settings. Remove the existing password and enter any code, then click “OK”. iCloud will inform you that either your user name or password is incoreect. Just tap “OK” and then click “Cancel”. When the iCloud page appears, tap on “Account” and delete description, then click “OK”. It will now return back to the iCloud main page and “Find My iPhone” would have been disabled.